Baltimore hosted the 20th Otakon convention last weekend, full of pop culture celebration and cosplayers. 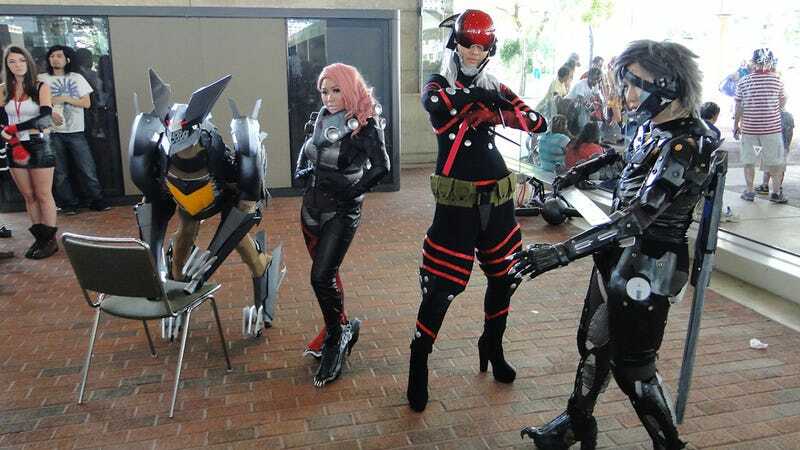 One particular group of four people—Pro Voltage—did a hell of a job showing off their Metal Gear Rising: Revengeance cosplay, dressing up as Raiden, Monsoon, Mistral and—in this case, transforming to—Bladewolf. Check the gallery below for more Bladewolf (that thing is just borderline ridiculous, should be placed in a museum) and some action with other Metal Gear cosplayers.